AstraZeneca (AZN): Are Hedge Funds Right to be Bearish? Does AstraZeneca plc (ADR) (NYSE:AZN) represent a good buying opportunity at the moment? Let’s briefly check the hedge fund interest towards the company. Hedge fund firms constantly search out bright intellectuals and highly-experienced employees and invest millions of dollars on research activities, so it is no wonder why they tend to generate millions in profits each year. It is also true that some hedge fund players fail inconceivably on some occasions, but their stock picks have been generating superior risk-adjusted returns on average over the years. AstraZeneca plc (ADR) (NYSE:AZN) was owned by 23 of the hedge funds in our database in the middle of 2018, nearly a 20% decline from a quarter prior. Those hedge funds owned just 1.3% of the company’s shares. Fisher Investments was one of the company’s biggest bulls, as AstraZeneca ranked 17th on our list of 25 Dividend Stocks that Billionaire Ken Fisher is Bullish On. The pharmaceutical company carries a 3.70% dividend yield, one of the better ones in its sector. How are hedge funds trading AstraZeneca plc (ADR) (NYSE:AZN)? At the end of the third quarter, a total of 23 of the hedge funds tracked by Insider Monkey held long positions in this stock, an 18% decline from the second quarter of 2018. 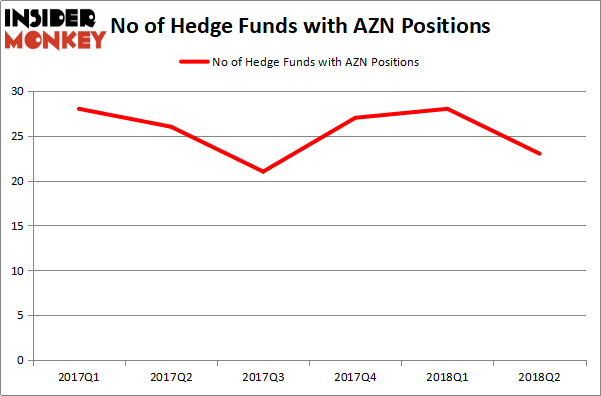 By comparison, 27 hedge funds held shares or bullish call options in AZN heading into this year. With hedgies’ sentiment swirling, there exists a select group of noteworthy hedge fund managers who were increasing their holdings considerably (or already accumulated large positions). Of the funds tracked by Insider Monkey, Fisher Asset Management, managed by Ken Fisher, holds the number one position in AstraZeneca plc (ADR) (NYSE:AZN). Fisher Asset Management has a $459.2 million position in the stock, comprising 0.6% of its 13F portfolio. 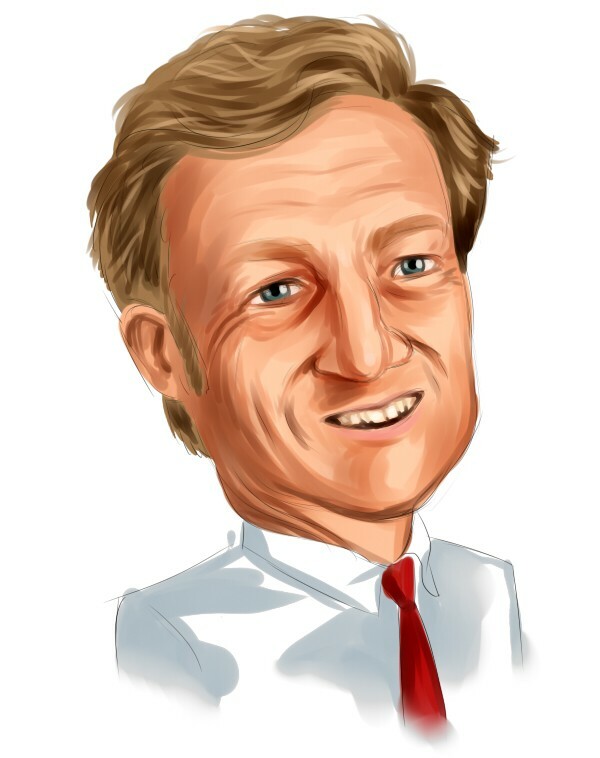 Coming in second is Farallon Capital, founded by billionaire Thomas Steyer, which holds a $135.2 million position; 0.8% of its 13F portfolio is allocated to the company. Remaining hedge funds and institutional investors that are bullish consist of Ori Hershkovitz’s Nexthera Capital, James Dinan’s York Capital Management and Krishen Sud’s Sivik Global Healthcare. Judging by the fact that AstraZeneca plc (ADR) (NYSE:AZN) has witnessed a decline in interest from the smart money, logic holds that there is a sect of funds that slashed their full holdings heading into Q3. Intriguingly, Behzad Aghazadeh’s venBio Select Advisor cut the biggest position of the “upper crust” of funds tracked by Insider Monkey, totaling close to $26.2 million in stock, and Bain Capital’s Brookside Capital was right behind this move, as the fund said goodbye to about $22.4 million worth. These transactions are important to note, as aggregate hedge fund interest fell by 5 funds heading into Q3. Let’s now take a look at hedge fund activity in other stocks similar to AstraZeneca plc (ADR) (NYSE:AZN). We will take a look at Diageo plc (ADR) (NYSE:DEO), Equinor ASA (NYSE:EQNR), Banco Santander, S.A. (ADR) (NYSE:SAN), and Lockheed Martin Corporation (NYSE:LMT). This group of stocks’ market valuations are similar to AZN’s market valuation. As you can see these stocks had an average of 19 hedge funds with bullish positions and the average amount invested in these stocks was $1.02 billion. That figure was $1.12 billion in AZN’s case. Lockheed Martin Corporation (NYSE:LMT) is the most popular stock in this table. On the other hand Equinor ASA (NYSE:EQNR) is the least popular one with only 9 bullish hedge fund positions. AstraZeneca plc (ADR) (NYSE:AZN) is not the most popular stock in this group but hedge fund interest is still above average. This is a slightly positive signal but we’d rather spend our time researching stocks that hedge funds are really piling on.